Humans are affected emotionally and physically by colours in our surroundings, and since we spend almost three hours a day in the kitchen, adding colour to the kitchen could potentially have a huge impact on our health. 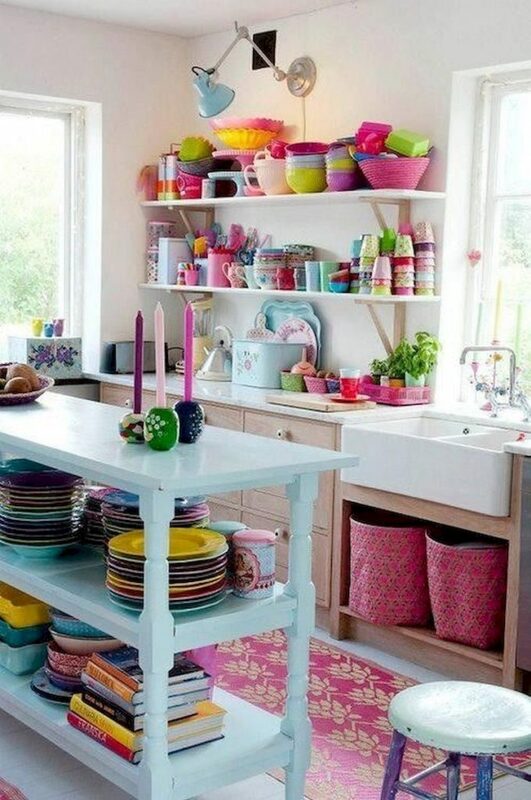 But finding the perfect balance of colours is essential so you can avoid creating a space that’s far from restful. Here are some tips to help you bring more colour into the most beloved and most-often-used rooms in your home. Most people aren’t daring enough to splash colour everywhere, so start with colour in detailing that is quick and affordable to swap out. Take a neutral base and introduce coloured elements like small appliances, tapware and crockery until the result pleases you. If you aren’t confident in jumping straight to primary colours, begin with pastels and candy colours rather than vibrant tones – but remember it is possible to have a well-laden environment in strong tones without it being too far out – use two colours and decorate the rest with tone on tone variations. 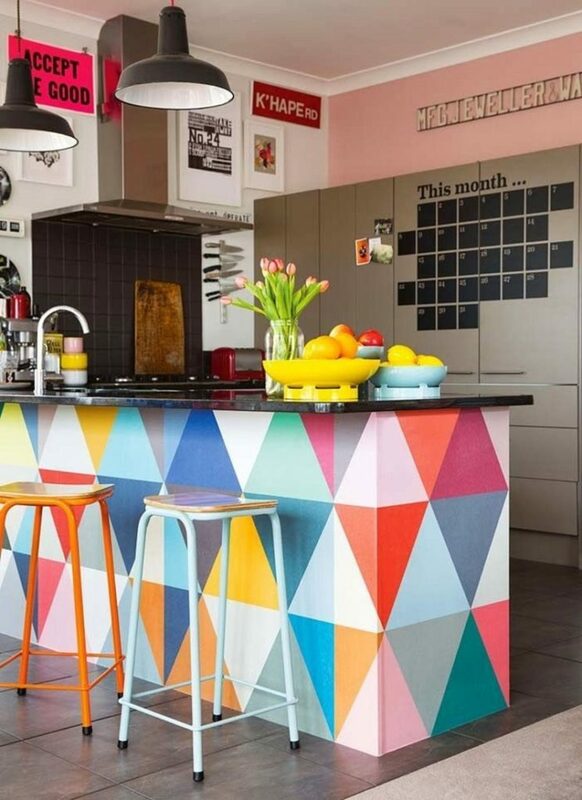 You don’t have to be limited to block colours to embrace this trend – the use of colour in patterns can work just as well in the kitchen as anywhere else. Kitchen cabinets are the answer to dipping your toe into colour. Think of the doors as blank canvases and paint them yourself or give your kitchen an affordable and quick makeover by switching them out for prefabricated ones. 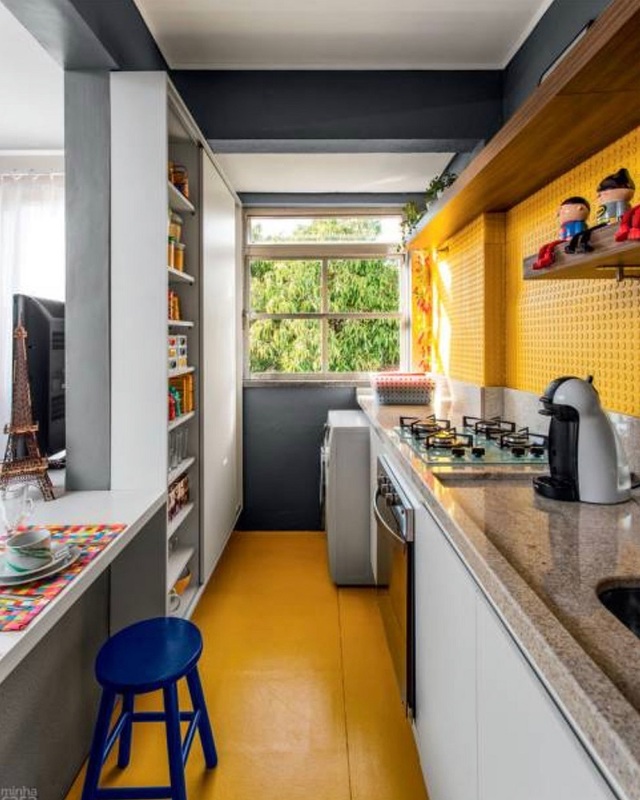 One effective (though permanent) idea to add personality in the kitchen is to colour the floors, walls, shelving and loose furniture. Keep the rest of the kitchen low key to contrast. If your kitchen floor is already coloured, take advantage of the situation and choose that key as the main mood of the room. Restrained or extravagant, you can always have some special wallpaper, fabric or paint that translates well to your personality – just make sure they are waterproof and resistant to grease. Behind the cooktop and sink is where most people currently get colourful. 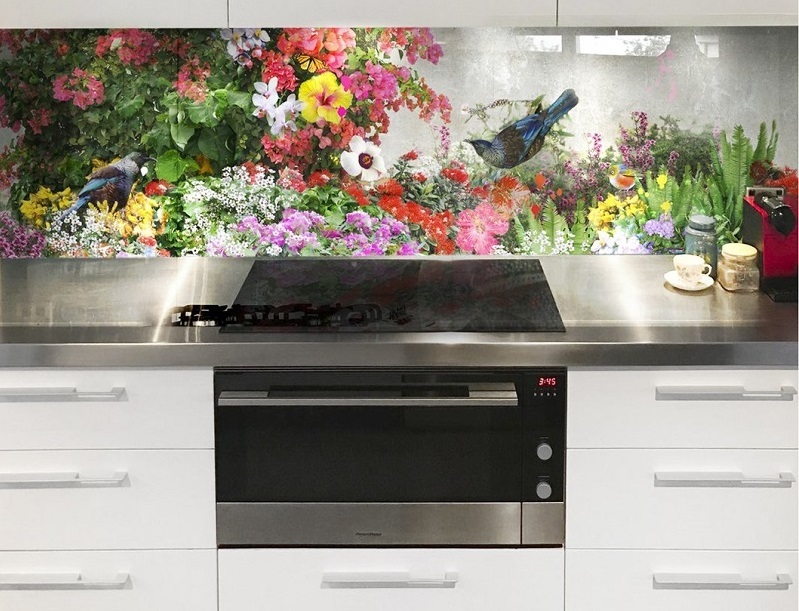 Over the past few years photo or artwork backsplashes have become very popular, so there is a wider range of options available. 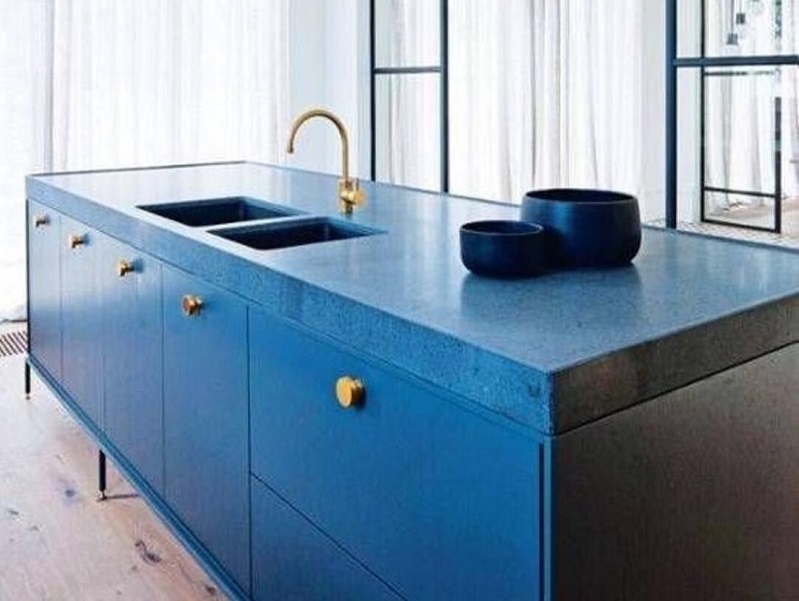 There are heaps of options available for coveted countertops… but if you think that black, white or grey are boring, wood is too rustic and stainless steel too clinical: a colour counter or kitchen island may be for you. Fridges, dishwashers and ovens used to be called white goods because these permanent fixtures in your kitchen mostly came in white (or stainless steel). 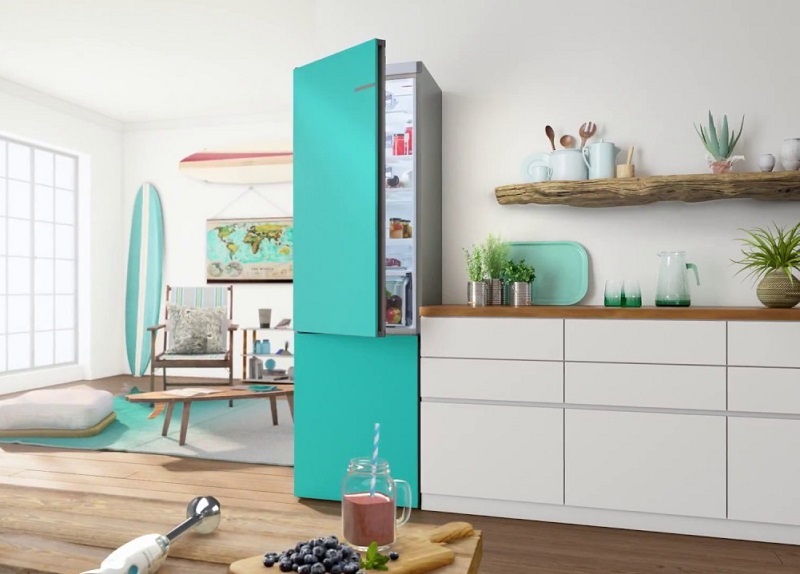 Now you can get creative with coloured appliances from the likes of SMEG and Bosch, whose fridge freezer features swappable coloured door panels. Even ovens are getting the rainbow connection! 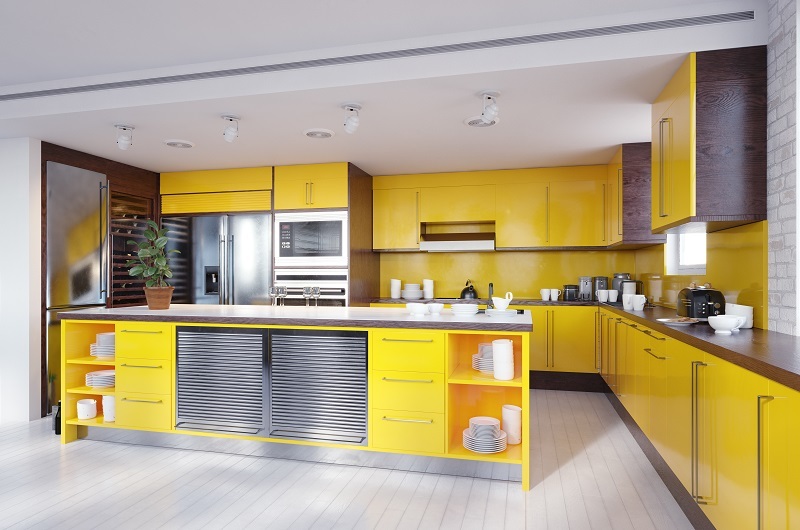 If it’s colour in the kitchen that you desire, come and visit the Christchurch Home Show, 22 – 24 March 2019 at Horncastle Arena, to get FREE expert advice and solutions from more than 140 leading industry experts and suppliers. See www.christchurchhomeshow.co.nz for tickets & more info!